Cerebral activity in a woman. 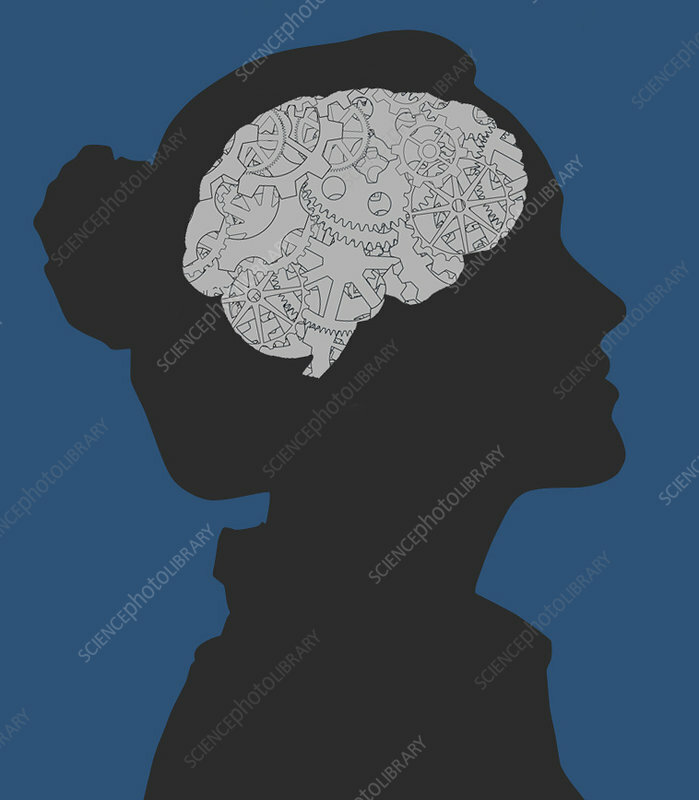 Conceptual computer artwork of the brain represented by gears and cogs. This may also represent the body clock or biorhythms.